Top features: Studio quality High Resolution sound you'll love hearing Store up to 3,300 songs, or more with a microSD card Touchscreen controls make using it a joy Listen all day and more with up to 45 hours of music playback Bluetooth and NFC so you can listen from other music playersStudio quality High Resolution soundGive your ears a treat, and enjoy studio quality sound on the go. 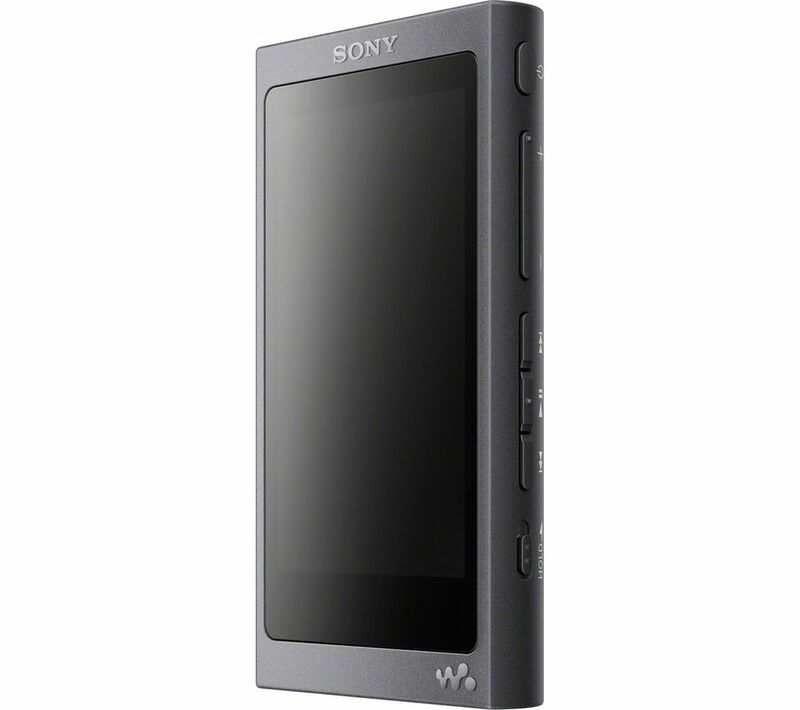 The Sony NW A45 Walkman Touchscreen MP3 Player with FM Radio supports High Resolution audio formats, for better than CD sound. With High Resolution, every music track is filled with more detail. You'll be able to make out each instrument, and appreciate every little nuance of your music, with less distortion and noise. Just clean sound. It's just like having a live orchestra inside your head.Store up to 3,300 songsThe Sony NW A45 makes it easy to carry your entire music collection with you. It has 16 GB of memory, so you can store up to 3,300 songs. Still not enough? Then just pop in a microSD memory card for even more.Touchscreen controlsPlaying your music is a joy thanks to the 3.1” LCD touchscreen. It makes the music player easy to use when you're out and about, or on the train. Change tracks, create playlists, and more just by tapping the handy on screen buttons.Listen all day and moreFill your entire day with music. A generous battery life provides up to 45 hours of listening time, so you can keep the party going on inside your head all day.Bluetooth and NFCThe music player is Bluetooth and NFC compatible. That means you can pair it with other music players, or even your PC to listen to music you already have saved at home.